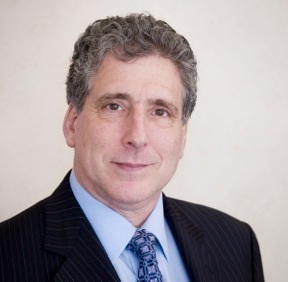 Mike Romansky, J.D., Washington Counsel, exclusively represents OOSS on issues ranging from Medicare ASC payment rates and reimbursement for intraocular lenses and ophthalmic devices to government policy for payment for new technology and medical device reform. He has been a practicing healthcare lawyer and lobbyist since 1977. For more information about Mike or to contact him directly, go to Leadership. 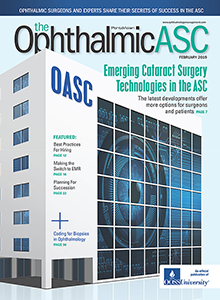 OOSS collaborates with member facilities and industry partners, including the Industry Coalition for Restorative Eye Care (ICARE), AAO, ASCRS, ASC Association, SEE, and other specialty organizations. All share a common commitment to patient care and closely align with the advocacy interests of the ophthalmic ASC. The OOSS President’s Council provides an excellent forum for industry partners and individuals representing member facilities to participate in formulating and implementing advocacy initiatives at national and grassroots levels. Individuals are eligible to serve on the President’s Council if they are affiliated with qualified ambulatory surgery centers and contribute $1,500 annually, in addition to the regular dues paid by their affiliated surgery centers. A limited number of seats on the President’s Council are also granted to representatives of qualified OOSS Partner organizations. For more information about the President’s Council, contact Kent Jackson, PhD., at kjackson@ooss.org. OOSS members may login to use the Advocacy Center forum to lend their voice to the issues weighing heavily on every ophthalmic ASC. In the Advocacy Center, you may send a pre-composed letter, written by our very own OOSS Washington Counsel Mike Romansky, J.D., to your local representatives or craft your own message. For your convenience you may also use the forum to search for the mailing address of elected officials. Change happens when you take action. Become a member and login to be a part of the ophthalmic ASC community shaping positive change.